I got these cool plastic hard boiled egg cutter things from Miyu (the closest thing we have in Perth to a Daiso or 100 Yen Store). 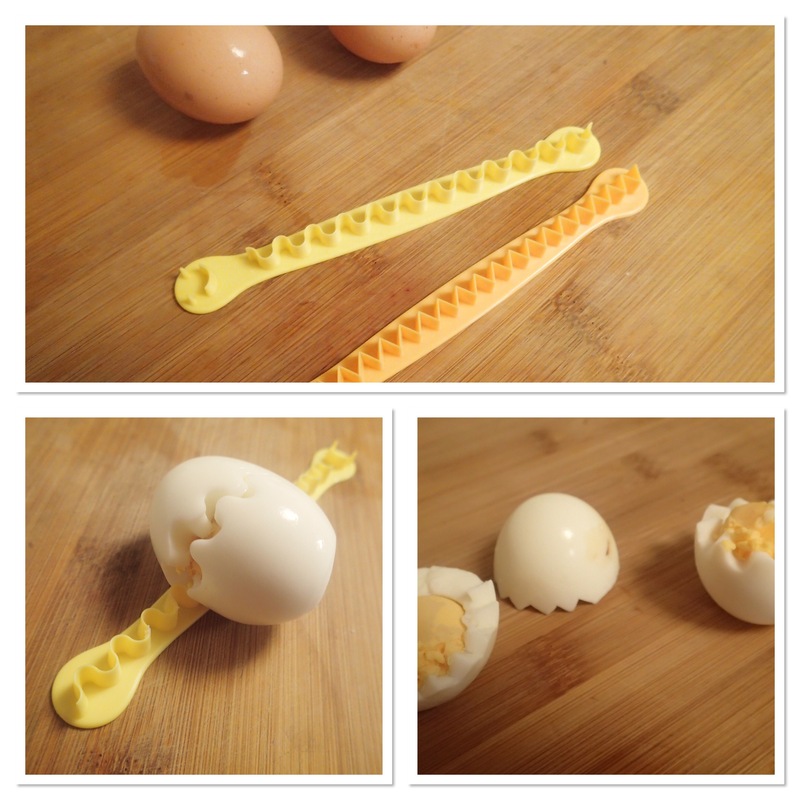 After peeling a hard boiled egg, you roll it on the cutter and it cuts the egg in half in a zig zag pattern. Mine turned out a little messy, but I just need to practice some more! And then for something completely different…. Growing up, one of my favourite ice creams to eat on a hot Summers day was a Jelly Tip. Vanilla icecream, covered in chocolate, with raspberry jelly under the chocolate at the top. Who knows what that jelly was made of, but it was delicious. At some point in my life they disapperead (although I have recently been informed they are still available in New Zealand – can anyone verify this? ), which was pretty disappointing, although not quite as disappointing as the death of the Hazelnut Roll (but that’s a story for another time). 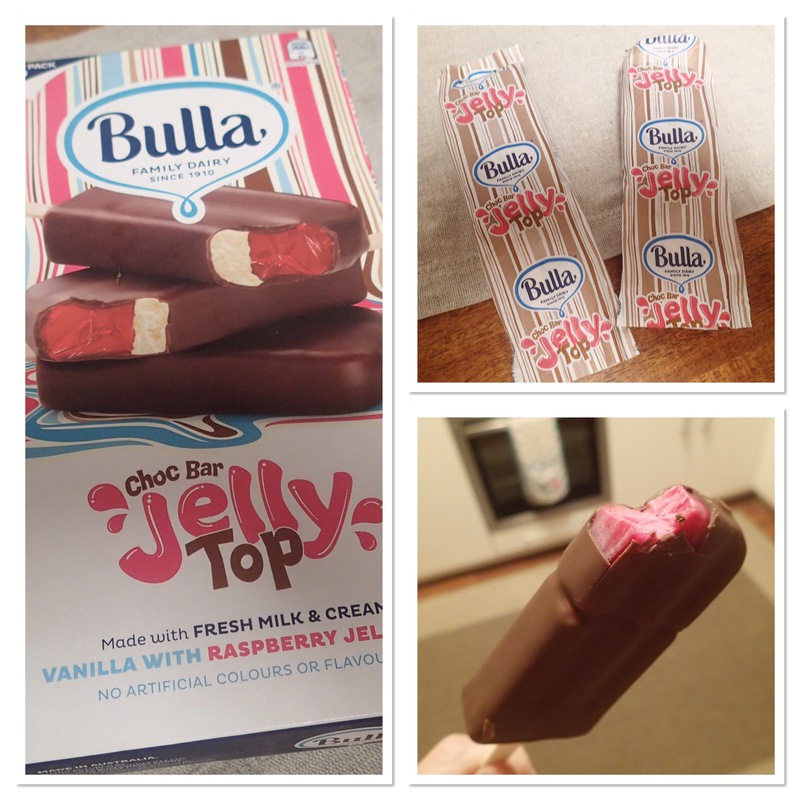 So when Bulla recently released these icecreams, that looked suspiciously like the Jelly Tip icecreams of my youth, I just had to try them. And the verdict? Not bad at all. Obviously not exactly the same (although my memory is a bit hazy), but pretty good. My fondness for sugary treats like this has declined as I’ve got older (I’d have a wheel of cheese over an icecream any day) but it was still a pretty tasty treat that reminded me of hot Summer days back in the ’80’s.